Experience the amazing Overseas Highway and see the sights of the Florida Keys while traveling from Miami to Key West via luxury motor coach. Depart right from your hotel door and relax in air-conditioned comfort on the ride south to Key West. Lean back, look out the window, and take in the sights while listening to a narrated tour of the Keys. Connect with on-board WiFi, take pictures, or simply rest up for the action-packed 26-mile jet ski ride that will take you completely around the island of Key West. Cruising by luxury coach is the ideal way to enjoy a Florida Keys road trip. Travel the scenic Overseas Highway and cross the amazing Seven-Mile Bridge in effortless comfort. Leave the driving to us, gaze at the scenery to your heart’s content, and arrive for your day in Key West refreshed and ready to play. The fun will begin at 2:30pm when you hop aboard your own high-performance personal watercraft for the Ultimate Jet Ski Tour – a full loop around the island of Key West. Ride as fast or slow as you like, try some twists and turns, and have a wet and wild blast as you run out of the cruise ship harbor, past Mallory Square, and through the channel into the Gulf of Mexico. You can admire the close-up views of marinas and harbors, mangrove islands and sandy beaches. You will explore a slice of the Key West backcountry and learn some local history from the waterfront and offshore angles as your guide describes points of interest along the way. There will also be time to play when you pull up on a pristine sand bar for a swim break. Keep a look out for marine life – you may spot dolphins, rays, sea turtles, water birds, and many other interesting creatures unique to the blue waters and coral reefs of Key West. All the equipment and instruction you need for the Ultimate Jet Ski Tour is included. Just bring your bathing suit, sunglasses, and sunscreen. Don’t forget a water-proof camera because there will be some great photo opportunities. Before your jet ski adventure, you will have a couple of hours to explore the blocks around Duval Street, grab lunch, or do a bit of shopping if you like. It will be easy to enjoy all the afternoon activities to their fullest when you have the confidence of knowing that you will arrive back in Miami at about 9:30pm safe, rested, and stress-free. There is nothing like our Miami to Key West Day Trip/Ultimate Jet Ski Tour package to combine relaxing sightseeing with fast-action water sports fun. Book your spot now with Cool Key West because these great tours fill up fast! Our Key West Trolley Tour features convenient pick up locations at Clinton Square, Higgs Beach, Key West Bight, Florida Keys Eco-Discovery Center, and Duval Street. Check-in time: Please be at the meeting place 5-10 mins before the pickup time. Exciting afternoon cruise around Key West on a high-performance jet ski. We recommend parking across the street from our main terminal at 1657 Washington Ave, Miami Beach, FL 33139. There is a 6 story parking garage across the street. The charge is $1 per hour, with a daily maximum charge for $15. This is the cheapest parking in South Beach! Yes, you many bring one piece of luggage and one carry on bag, per person. Yes, the tour sells out. Avoid hassles, stress, and disappointments. Book ahead for guaranteed reservations. Booking online take less than 2-minutes. Purchase tickets online, or call us. No, a printed receipt is not necessary to board the bus. The driver will have your last name on the manifest and be expecting you. Yes. Free pick-up is available from all hotels in South Beach, Miami Beach, and Downtown Miami. What if I am staying outside the hotel pick-up area? If you are staying outside the hotel pick-up area, you can meet the bus at at our Main Pick-up Location in Downtown Miami. The Main-Pick-up Location is at the Holiday Inn Hotel located at 340 Biscayne Blvd, Miami, FL 33132. How long does it take to drive to Key West? Driving the Overseas Highway is a one-of-a-kind experience. You will see some of the most spectacular scenery in the State. You will literally be driving right over the ocean and across a thin chain of islands and bridges, including the famous 7-Mile Bridge. 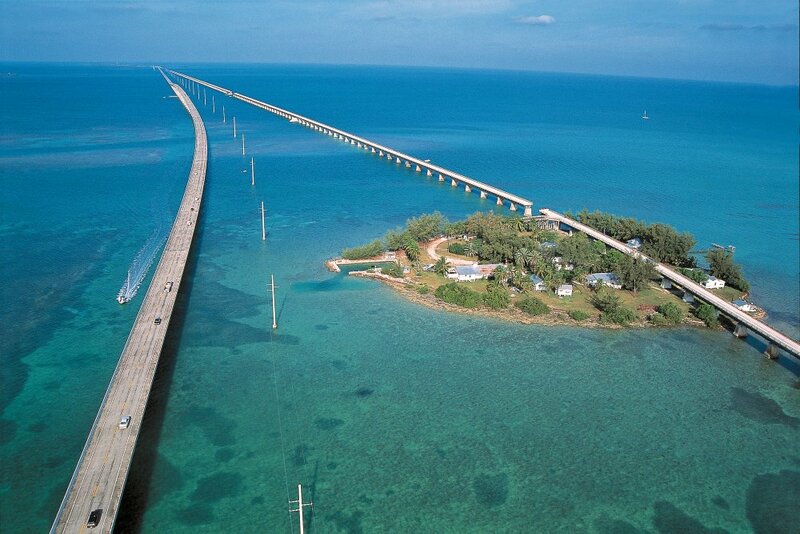 These bridges connect 34 islands that make up the Florida Keys. What are some good items to bring on the bus ride to Key West? Do you offer Wi-Fi on the bus ride to Key West? Yes, we are pleased to offer free onboard WiFi. Due to the nature of the technology, we are not responsible for interruptions of service that are beyond our control. Do we stop on the way to Key West? It depends. If passengers wish to take a break, we will stop along the way. Is there a driver and guide on board for the to and from journeys? Yes, there is a driver/guide on board for the journeys to and from Key West. Where is the Key West Tour bus stop? 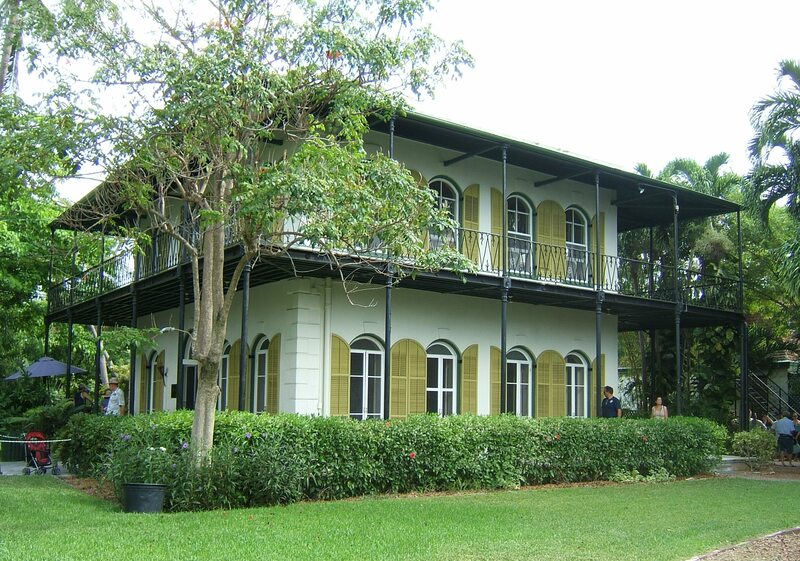 We drop-off and pick-up at the Tour Bus Stop located next to the Mel Fisher Museum (200 Greene Street) in Old Key West. Nearby attractions include: Duval Street, Mallory Square, Shipwreck Museum, Custom House Museum, Audubon House, Harry Truman Little White House, and Ernest Hemingway House. How much free time do we have in Key West? You'll have approximately 6 hours to explore Key West at your leisure. What is there to see in Key West? You'll have approximately 6 hours to explore Key West. Famous for its history, this tropical island is home to famous landmarks such as the Southernmost Point in the United States, Mel Fisher's Treasure Hunting Museum, Ernest Hemingway's House with the 6-toed cats, Fort Zachary Taylor, and a spooky above ground cemetery just to name a few. There's also fun water activities, like snorkeling, a glass bottom boat ride, jet ski tours, and parasailing. What time do we return from Key West? The bus returns to Miami at approximately 9:30 PM and returns to Fort Lauderdale at approximately 10:30 PM. Yes, after the tour, we will return you back to your hotel. Are there beaches in Key West? There are a two beaches in Key West, the most popular is located at Fort Zachary Taylor, at the southern end of the park. Key West is a great watersports destination, so bring a bathing suit and sunscreen, if you plan to get wet. How do people dress in Key West? Key West is really casual. A sundress for ladies and khaki shorts for guys is as dressed up as anyone ever gets. Can I go to Key West for more than one day? Yes, for a multi-day vacation, book the Key West Overnight Trip. We'll take you down for as long as you like and bring you back to Miami when you're ready.